Getting a new car is almost always really exciting. However, that doesn’t mean it’s not stressful too. It can be especially nerve-wracking when you don’t know if you should search for auto loans or just lease a vehicle in Chalmette, LA. You want to make sure you choose the right payment method. If you don’t, you could end up paying more than you want to. Therefore, before you decide to sign an auto loan, get more details on what this kind of financial situation entails. You want to be positive that you’re making the right decision before you buy. Some people in Chalmette, LA, think that they’ll be able to just start making payments on their new vehicle without worrying about paying for anything upfront. However, that’s not really how a loan works. You’ll have to pay for a significant portion of the vehicle before you can even qualify for a loan. And the more you put down on your down payment, the less you will have to worry about your loan. That also means less interest, so it’s smart to put down as much as you possibly can. Are you wondering whether auto loans or leasing is more expensive? You’re not alone. A lot of people have this very same question. While you might have to pay more upfront when you decide to get financing for your new car, you will probably spend less in the long run, especially if you get a good interest rate and put down a large enough down payment. However, this can depend heavily on your specific situation, so be sure to ask a financial expert for assistance if you’re not sure which option is going to cost you more. Some people don’t know that you can actually get auto loans from your local dealership. That’s right – you don’t have to run all over town to find a lender who can grant you the loan you need. You can just go to your dealership’s finance center, and the people who work there will be more than happy to help you find the ideal loan for your financial situation. 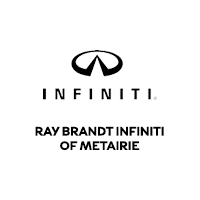 If you’re looking for the best place to buy your new car, make sure to come see us at Ray Brandt INFINITI near Chalmette, LA.